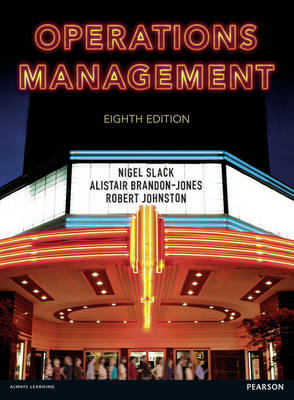 This package includes a physical copy of Operations Management, 8th edition by Nigel Slack as well as access to the eText and MyOMLab. To access the eText and MyOMLab you need a course ID from your instructor. If you are only looking for the book buy ISBN 9781292098678. Operations management is important, exciting, challenging … and everywhere you look! · And everywhere, because in our daily lives, whether at work or at home, we all experience and manage processes and operations.